Today a friend and I went to a fab vintage craft fair in Edinburgh which was organised by ‘Made in the Shade‘. I was pretty impressed with the range and quality of things on sale. There was loads that I wanted to buy and even more that I wanted to go home and try and replicate myself. 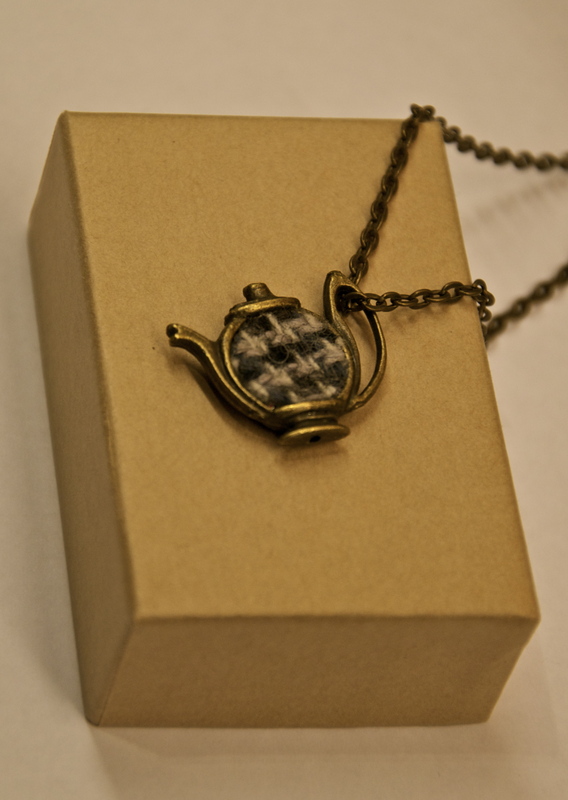 I did manage to restrain myself and only bought two things – a lovely hand-embroidered brooch and a gorgeous vintage teapot necklace.